In 2016 the Daylee Public House, located at 453 W. Main St. in Downtown Waukesha, opened it’s doors when Chef Megan moved and expanded her Simply Irresistible Catering business to offer the additional services of a restaurant, bar and beautiful event space. Daylee’s presents its guests with a unique menu of handmade appetizers, custom grilled cheeses, “Daylee Special” sandwiches, soups – and more! The trendy restaurant features seasonal patio seating and a modern chic approach to dining and a full bar. Daylee’s also caters off-site and has a fabulous selection of take and bake items to enjoy at home. Chef Megan talked with us about all that Daylee’s has to offer. Tell us about the menu at Daylee’s, what are the favorites of your guests? There are so many great places in Downtown Waukesha that we work hard to offer a unique menu and experience. Our items are homemade and baked (not fried) to order. Our build your own grilled cheese pairs wonderfully with the tomato bisque. We offer many creative appetizers, like buffalo chicken eggrolls and a bacon wrapped pretzel – they are so delicious (and the top sellers!). We have a very casual setting at Daylee’s, people order at the bar – guests are encouraged to sit, chat and not feel rushed. How about your catering division? What kind of events do you cater and what’s on the menu? I’m very proud of our catering division because we provide a one-of-a-kind experience to our customers. We work directly with clients to come up with a creative menu that fits their budget and taste. We’ve done themed meals, or just made the items that the guest of honor really loves, allowing us to provide a truly unique experience. Because of this, we don’t have a set catering menu. I suggest people take a look at the pictures I post on our Facebook page to see things we’ve done, or even show us ideas they’ve come up with. Can people rent out the restaurant and have their special event there? Including that gorgeous outdoor dining area, how many people does the restaurant hold? Absolutely! We hold all different kinds of events here from bridal showers and rehearsal dinners to birthday, graduation and retirement parties. We can hold 70 people inside with space for an additional 38 outside. Your take and bake option is a fantastic idea for busy people who want a quality meal but don’t have the time to make one. Tell us more about it. Our take and bake selections have been a staple here since day one. We have had the same menu since we opened six years ago – adding specials when we have them, like Guinness beef stew and brown bread on St. Patrick’s Day. We also have a rotating selection of seasonal soups available. The great thing about the take and bake is the true convenience of having a home cooked meal ready to go with nothing to do but bake it. Almost all the items can be taken directly out of the freezer and put in the oven without thawing (directions are on each package). They are the perfect options to have tucked back in your freezer for a busy day, but also a great meal to give someone. People want to help friends and family by giving them homemade meals and the beauty of giving them one of ours is they can make it when they are ready instead of having a fridge full of perishable items. Another great use for our meals is for get-togethers. You may not need us to make all the food but do need help with a few sides to take the pressure off. We see this a lot during the holidays when people have houseguests staying with them. It’s encouraged to place an order online or give us a call in advance if you are looking for specific items – our freezer is otherwise first come, first served. You’ve been in Waukesha for some time with Simply Irresistible Catering and now Daylee Public House. For people visiting the Waukesha Pewaukee area, what would you suggest they check out? Definitely downtown Waukesha, it has changed and grown so much over the years and boasts many wonderful small businesses and unique events. All year round there are fun things to do, whether it’s the farmer’s markets, art crawls or Friday Night Live, there’s something for everyone. It’s a great family friendly area and we can’t wait to have you visit! 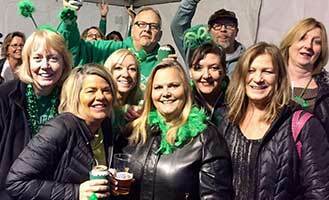 You won’t need the luck of the Irish to find lots of fun things to do in the Waukesha Pewaukee area this St. Patrick’s Day. Check out these four fabulous Irish pubs for a festive Irish-inspired weekend. 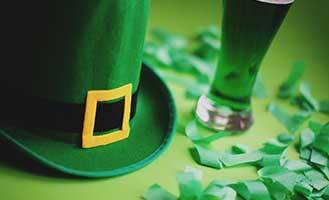 Whether you are Irish or just enjoy St. Patrick’s Day, take advantage of these local St. Patrick’s Day celebrations and specials in the Waukesha Pewaukee area. 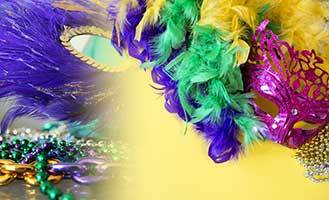 Celebrate Mardis Gras March 5 in Waukesha Pewaukee at one of these restaurants featuring food and beverage specials.